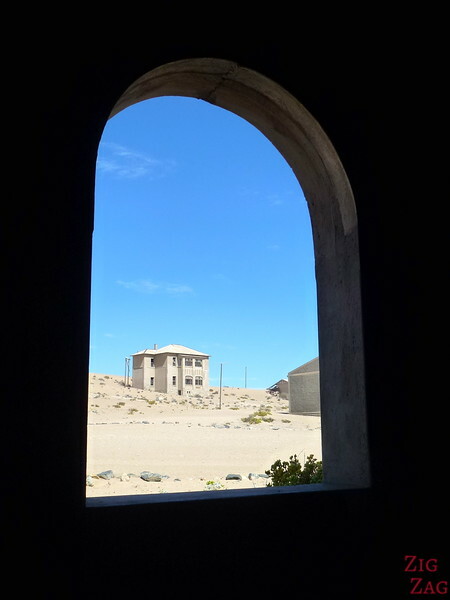 Lüderitz & Kolmanskop: which one is the ghost town? 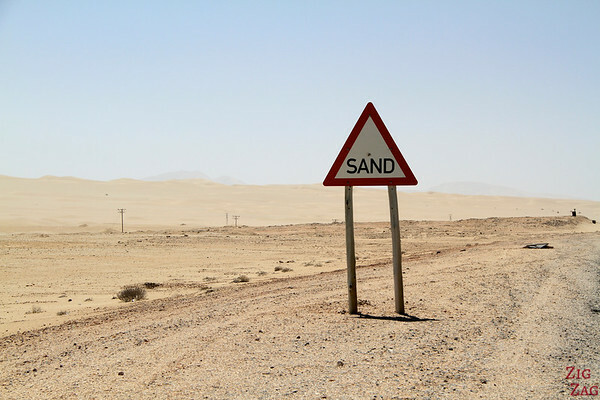 At the South West End of Namibia is the town of Lüderitz and its famous neighbour ghostown of Kolmanskop which has been taken over by the sand. 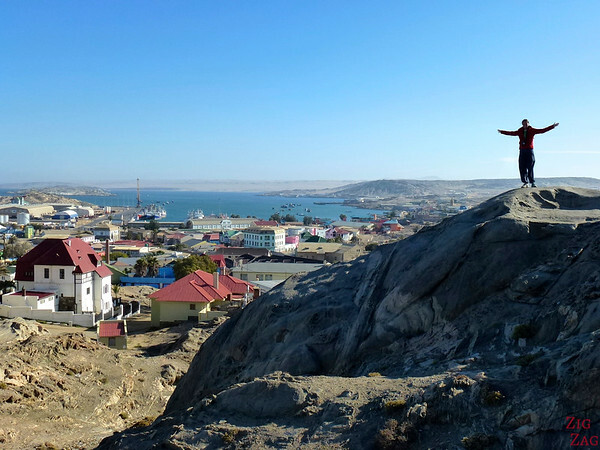 Lüderitz, established in 1883, is a harbour full of colonial colorful houses. Kolmanskop used to be a rich diamond mining village. It was very prosperous and even had a hospital. However it started declining after World War I and was abandonned in 1954. The sand has since then taken over many of the houses creating a touristic attraction. 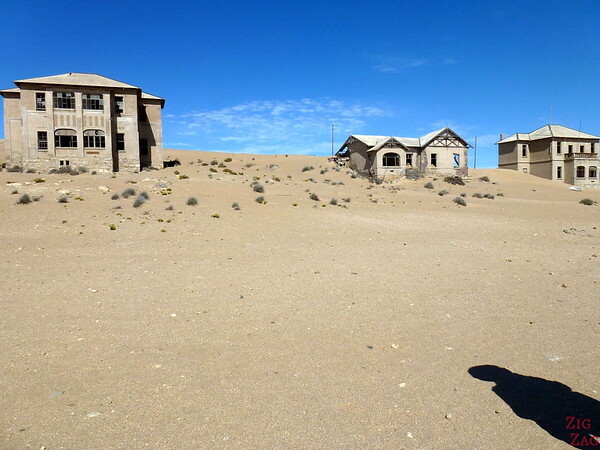 Lüderitz and Kolmanskop are located in a very inhospitable area of Namibia. It was crazy. all we could see for kilometers was sand and grey rocks. At one point I wondered if we were on the moon. 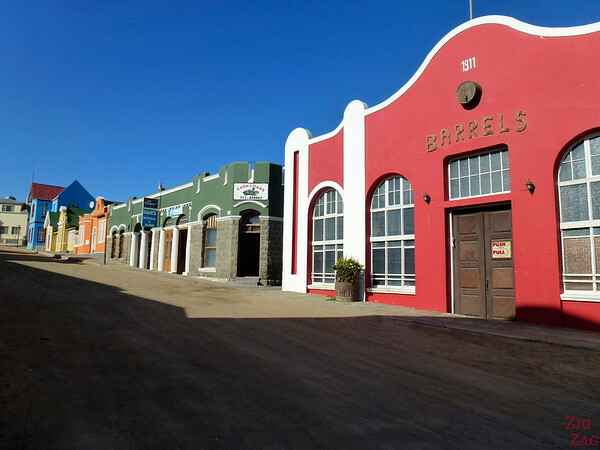 After walking on a Sunday afternoon in the streets of Lüderitz, I am really wondering if this was not the ghost town… nobody on the streets… nobody at the pier where I could only hear the swings squeaking… very strange feeling. The city was quite colorful in this moon-like landscape so it was not as creepy as it could have been. With another person from my tour we walked up to the church to get a view of the town and of the bay as there is not much else to see. The next morning, after an excellent breakfast at a café in town (as the kitchen of our hotel had burnt down the week before our arrival), we went to Kolmanskop which is the known as the ghost town. 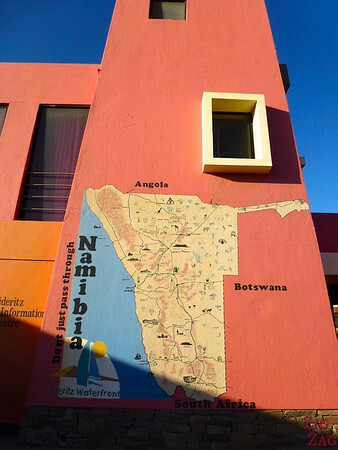 I must admit this was my least favorite place of the whole 2 weeks in Namibia… but I am not at all a history buff. I prefer scenery but here all was grey: the sand the building… This was a lot of driving for something I did not appreciate but I can understand it is on the itinerary because some people are interested in those things. Compromise. Have you ever visited a ghost town?